With the patient encouragement of Stewart Conn, John started writing radio plays in 1976, with Papageno set in an Italian village both during the Second World War and in the present. This was followed by another half-hour play, Heartwood (1978), set in contemporary rural Scotland, as was the 50-minute Girl At A Window (1985) - the latter inspired by a painting by Rose Barton. These first three plays were all BBC Radio Scotland commissions. Carver, at 100', was Purser's first full-length play and was a joint commission for BBC Radio Scotland and Radio 3 for The Sunday Play. Carver tells the story of the 16th-century Scottish composer Robert Carver and the survival of the Carver Choirbook - sole evidence for most of his output. 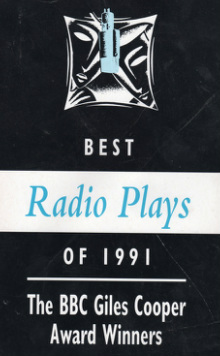 Carver won the New York International Radio Festival Gold Medal in the Specialist Drama category, and it also won a Giles Cooper Award for the script and was published by Methuen along with the other award-winners of that year. The part of Carver himself was taken by Tom Fleming. As with all Purser's plays up to that time, the Producer was Stewart Conn.
Parrots and Owls followed in 1994. Also a full-length play, this was a commission from BBC Radio 3, again for The Sunday Play, and was produced in London by Jeremy Howe. Set in Oxford in the 1850s, the play followed the controversies surrounding two Irish stone carvers, the O'Shea brothers, their encounters with John Ruskin, John Everett Millais and Effie Gray, and the building of the Oxford Museum. The Secret Commonwealth was again a full-length BBC Radio 3 Sunday Play commission, produced in Edinburgh by Patrick Rayner. The inspiration for The Secret Commonwealth was the traditional Scottish ballad, The Trumpeter O' Fyvie (also known as Mill O' Tiftie's Annie). It tells the tragic story of a mill-owner's daughter who was abused by her own family and murdered by her brother. John also composed the incidental music for this production. “The tragic story of a 17th-century Scottish mill-owner’s beautiful daughter, plagued by an insanely possessive twin brother, is the subject of John Purser’s evocative Sunday Play: the Secret Commonwealth . .” (Maureen Paton in the Daily Express 4.5.1996). Papageno 30’ BBC Radio Scotland, 19.4.1977. Heartwood 30’ BBC Radio Scotland, 4.4.1978.